Oak Grove was often used as a commuter rail stop during Orange Line weekend shutdowns, not just during Sox playoffs. 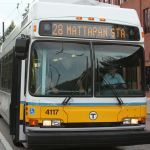 Sometimes, shuttle trains were operated from North Station to Oak Grove and Malden during the weekend outages. Wedgemere is very much still in use. Not many trains skip it outright, although its a flag stop for much of the day weekdays and all day weekends. Mike - I believe you're right. I remember hearing somewhere else that the only reason that Malden and Oak Grove have full length high's is that those were to be subway tracks, not railroad, and some modifications had to be made to clear railroad equipment. I'm sure plenty of folks can confirm this, but wasn't the original intent for the railroad tracks to only go as far as accessing the Medford branch, thus the railroad today uses what was intended to be Orange Line tracks from that point north. I would assume the commuter rail tracks would not have been sent through the duckunder if they had been intended to remain as railroad and not subway. RedLantern wrote: Not sure if Falmouth was mentioned, or if it was even MBTA, but as this picture shows, it's a pretty intact abandoned station. I'm not sure if Lowell Line trains still stop at Wedgemere anymore, they haven't for the last few I've ridden. I don't know what gives you the impression that Wedgemere is abandoned. It's in the printed schedule and has a substantial parking lot. All but a very small number of express trains stop there. 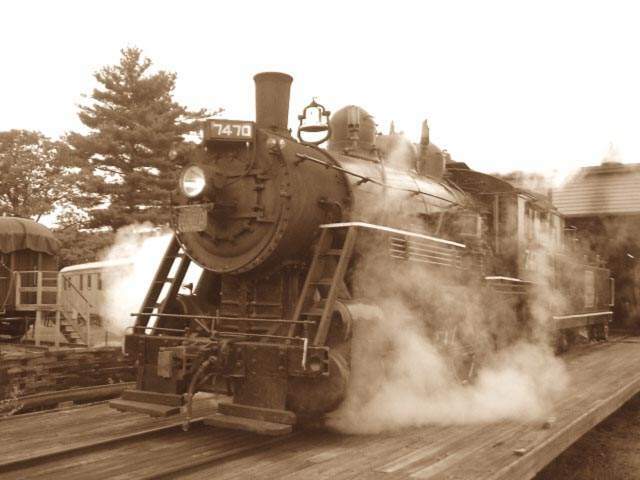 The old Malden railroad station was in a slightly different location from the current one. The old station building still stands and is now used as a restaurant. Confusingly, the restaurant is called Pearl Street Station, even though it is located on Summer Street. That's bizarre. The roadbed clearly hasn't been used for decades, but that looks like a modern platform and appears to be well cared for. Anyone know what the story behind that is? Saugus Branch passenger service ended fifty years ago, in 1958, but it once had a huge number of stations, since it was almost like a rapid transit line with stops every half-mile or so. From south to north, stations were West Street, West Everett, Bell Rock, Malden, Faulkner, Maplewood, Broadway, Linden, Franklin Park, Cliftondale, Pleasant Hill, Saugus, East Saugus, Raddin, and Lynn Common. Trains typically ran Boston-Lynn. I didn't know the Saugus Branch had any stations at all, let alone 15! Is there anything remaining of any of the stations today? I know, a bit off topic. Please don't get mad. The Saugus station was near Saugus Center on Central St., close to Winter St. There is a noticeable hump in the road going over the tracks, although last I knew as of about a year ago they had removed the tracks fairly far back to either side of Central St. If you were looking towards Saugus Center the station is on your right on the Center side of the tracks. It's been built on to since it was used as a station. Cliftondale was at Eustis St. off Essex St. - "5 Eustis St." is listed on the inventory of the Saugus Historical Commission as "Cliftondale Railroad Station". I don't know where the East Saugus station would have been exactly...I'm guessing it was at or near the restaurant/liquor store that I think is technically in Lynn, off Lincoln Ave/Boston St. If the original building still exists, I would guess it was the liquor store. No idea where Pleasant Hills was. It probably was off Adams Ave., possibly by Austin Ct., although it could have been closer to Denver St. (the Junior High/Middle School would not have existed then). Just to try to keep this on topic, lets keep this to more recent Commuter Rail stations. The discussion about the Saugus Branch belongs in a thread about the branch, which I think exists in the New England Railfan Forum. The MBTA has never operated service to Cape Cod, however the ex-NH Falmouth station was revived by the fairly short-lived Cape Cod & Hyannis RR when it ran seasonal excursion trains on the Falmouth branch in the 1980s, and the building itself was used as a bus station. The CC&H quit in 1988. The track by the station was abandoned a few years ago. And even though it is listed as a "flag stop" on many trains, I've never been on a train that didn't stop there.... even if no one was on the platform and it appeared as though no one got off. Perhaps our esteemed moderator could chime in about the actual practice. I don't ride the Lowell line that much any more, last time I rode it, there just must not have been anyone to get on or off that train, and thus no stop. I remember not seeing anyone near the platform, so I just assumed that they may have done away with it since it's so close to Winchester Center anyway. Some conductors stop anyways, some keep track on on the inbounds and skip it if no one is getting off or on the platform. Same for the outbound. It all depends on the time of day really. Anyone want to compile a list of abandoned MBTA Commuter Rail stations we have discussed so far? Before doing that, let's figure out what we are making a list of. Discontinued stops? Buildings that are no longer used as stations? Buildings that have been demolished?